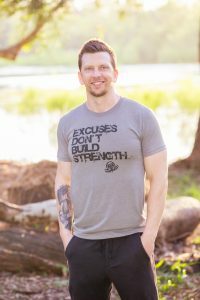 Today we are thrilled to have trainer Craig featured as our guest author on this month’s theme of gratitude! When I was in my twenties, I struggled pretty badly with anxiety and depression. While for some this might be simply a matter of brain chemistry, for me it was a spiritual issue. Because I wasn’t right spiritually, it affected my mind. My mind got off and started to affect my body. As my anxiety and depression increased, my physical health started to deteriorate. The anxiety and depression began to manifest themselves in very physical ways. I began to have digestive issues, sleep problems, increased illnesses, and even muscle a nd joint pain. 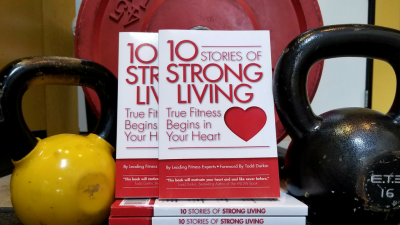 My workouts began to suffer, creating a vicious snowball effect of declining health. As I began to address what I determined to be a spiritual problem, I came across a teaching that stood out to me: “Do not be anxious about anything, but instead, with prayer and thanksgiving, give your requests to God.” I found it so interesting that to counter our propensity to be anxious, one of the instructions given was thanksgiving. Being thankful. Gratitude. Gratitude is the theme of the month here at Mo-mentum Fitness. With Memorial Day coming up we have a wonderful opportunity to express our gratitude to the men and women who serve our country’s military—and especially those that have lost their lives doing so. Without them, we wouldn’t be privy to the type of freedom and safety we have here in the United States. So to those of you who serve or have served—and to those that have paid the ultimate price—thank you from the bottom of our hearts. Gratitude is a powerful thing, and its effect on our overall health is staggering. Today, try focusing on the things you are grateful for instead of the things that are wrong with your life. Focus on what you do have instead of what you don’t. Try keeping a journal of gratitude where each day you think about and write down 3 things you’re grateful for. I do not speak light of depression and anxiety, seek to minimalize it, or claim to know and understand all the different factors that play into it. 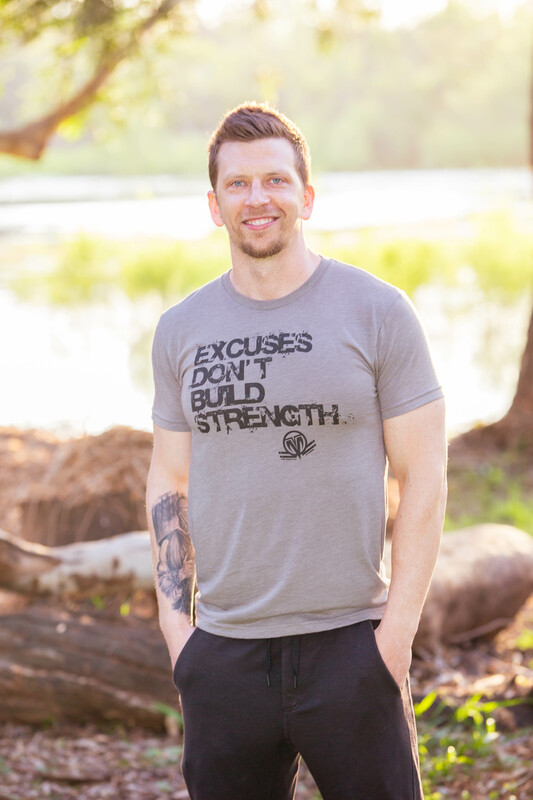 There’s much more to my story—my growth and healing in my battle with depression and anxiety—than simply being thankful (I would love to share my story with anyone that wanted to know more). But it is true, that as I began to put into practice the spiritual teaching above, the anxiety and depression began to lessen. Things began to snowball in a more positive direction. I was able to grow spiritually, which affected me mentally, which affected me physically. I got some energy back so I was able to make some changes to my fitness routine. I was then able to push my body in a way that was growing and training my mind and my spirit as well. I began to get healthier. Wholistically. Health is a wholistic endeavor. As humans, I believe we are body, mind, and spirit. We often tend to think of fitness as the part of health involving the body. However, I believe the lines are far more blurred than that. The spirit affects the mind, the mind affects the body, the body affects the spirit and so forth. Sometimes our symptoms aren’t the root of the problem. We tend to think that if we have a physical symptom then we need a physical solution. But sometimes that’s not true. We’re a whole person. Our body, mind, and spirit are all interrelated. If you’re struggling in one aspect of your person (body, mind, or spirit), it might be that you need to make changes in a different aspect. And it just might start with gratitude.